We have recently redesigned our website, and hope you enjoy looking around and find its new features of use. 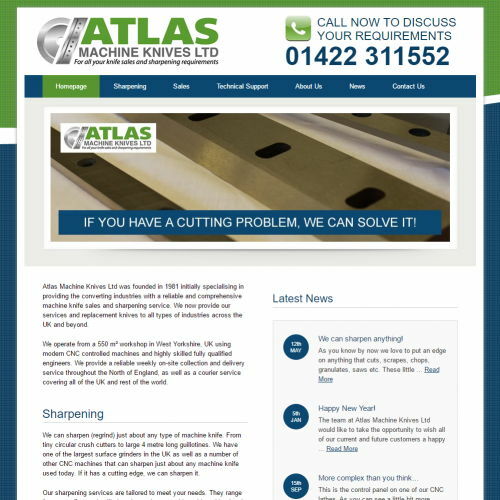 Atlas Machine Knives Ltd has come a long way during 2013 in terms of branding. We have a new logo, new look website, staff uniforms, signage at the workshop and as you can see from the banner above our vehicles now look the part too! Some things will be staying the same throughout 2014 however. Mainly our dedication to customer support and our excellent levels of service. We would like to thank our existing customer base for your loyalty throughout 2013, and promise potential new customers that we won’t let you down.